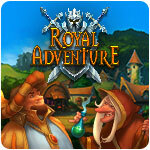 Royal Adventure Game Review - Download and Play Free Version! 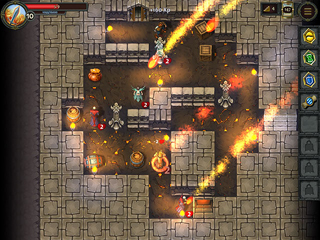 Lead the heroes who are part of ancient history, on the final chapter of the great prophecy. The story takes place in Midgard, a tiny village, lost in the backwoods of civilization. It stays on the border of two worlds - human world and dead world. Little Midgard keeps great secrets: beneath it is a mysterious dungeon with hordes of monsters. Every year, in the midnight, hundreds of monster comes to the surface. Our heroes are part of ancient history, the final chapter of the great prophecy. A powerful Warrior, Guardian of Midgard, appointed to the watch by the king himself. He wears heavy armor and strikes enemies in close combat. 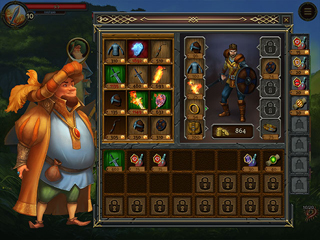 A fast and accurate Hunter, whose destiny is connected with the village and its inhabitants. Shoots from a bow, kills enemies from a distance. They have to fight the evil in the dungeon and the dark forest.